To give you a quick overview of our collection, we created a little video and a photo gallery showing some of the features of our site and some of our most beautiful ant pictures. Follow us into the fascinating world of the ants and the breathtaking biodiversity of the antfauna of Borneo. 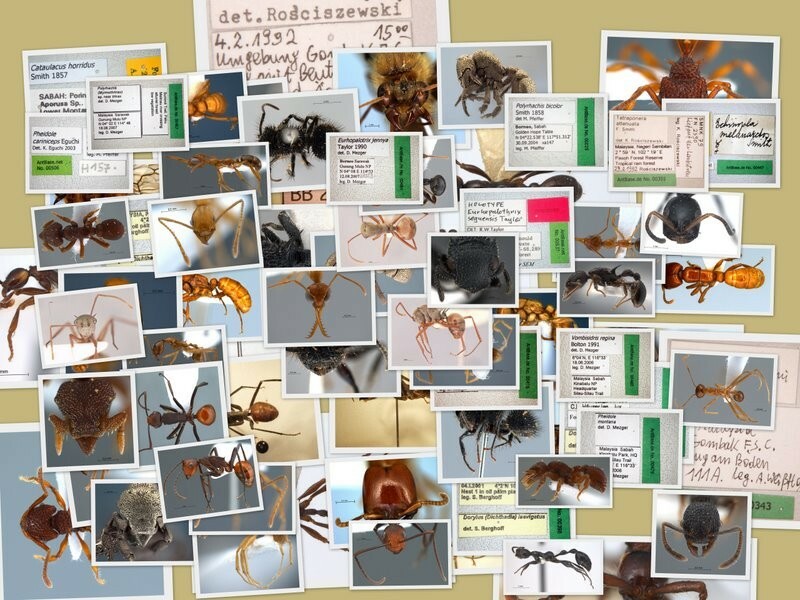 www.antbase.net is dedicated mainly to the ants of Borneo and Southeast Asia, but our website also covers the ant fauna of Mongolia and, in ccoperation with Dr. Bernhard Seifert from the Museum of Görlitz, the ants of Germany. If you want to get an impression of the beauty of ants, just have a look at our photo gallery. If you want to know more about our website and what it has to offer, have a look at our guided tour. Enjoy our website and have fun! Watch the video or click on the collage to view the picture gallery!